With tracks in both English and German, and translation for plenary sessions that bring the two together, the 2018 Publishers Forum program is devised to sort out genuinely promising tech from fads. 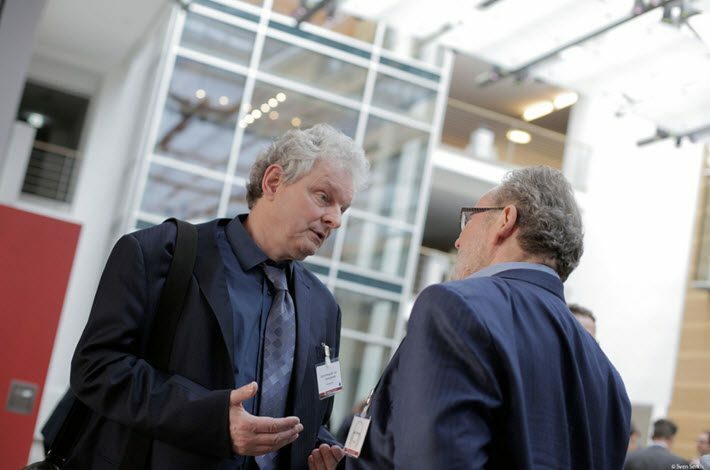 Both familiar and new faces gather today and Friday (April 26 and 27) in Berlin for this year’s Publishers’ Forum, the Klopotek-owned conference directed each year by Vienna-based consultant Rüdiger Wischenbart. For example, a master of branding, Kaiken’s Laura Nevanlinna of Finland is once again on-hand today to give a keynote address on cross-format content development. Nevanlinna began her conversation with this conference last year as Kaiken Entertaiment was in a fast expansion in North America. 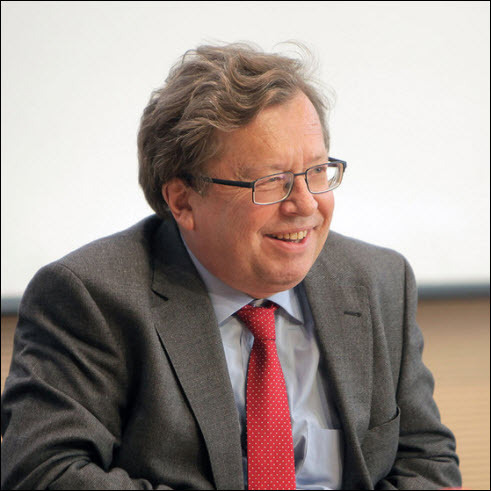 And then the Netherlands’ Michiel Kolman, president of the International Publishers Association and an executive with Elsevier, presents the counterpart keynote on Friday on the topic of where publishing at the highest level is going in a troubled world. It’s Kolman’s first experience of the conference now held annually at Berlin’s DBB Forum. Nevanlinna, known for her groundbreaking work with the mighty Angry Birds franchise, and Kolman are the kinds of speakers internationalists might wish more country-based publishing conferences could hear from. Nevalinna is a commercial visionary, and Kolman is the scholarly specialist and freedom-to-publish idealist. 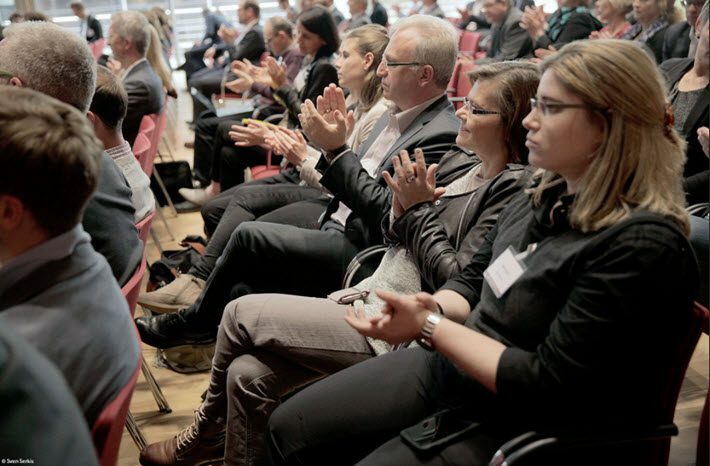 In each annual installment of this conference, Wischenbart helps the national industry of Germany look out from its envied success to ask, “What could we be doing to be even better?” Contrasts are frequently drivers of the programming. An exhilarating-sounding closer, “Breaking the Wave: What Can Publishers Do to Reverse Shrinking Markets?” brings together Jörg Rheinbold of Axel Springer and Joseph Evans of Enders Analysis with one of the stalwarts of the conference each year, Outsell’s David Worlock. Publishing Perspectives on Thursday moderates a panel on new models in publishing, featuring Eduardo García, Atmende Bücher, Germany; Mathew Clayton, Unbound, UK; Helena Gustafsson of Sweden’s Storytel; with Robert Becker of Germany’s Beemgee for authors. This rationale is a hallmark of Wischenbart’s programming, the goal of which is to blow away the fog of tech-popularism and to help publishers evaluate the merits of emerging technology. The unique character of this conference starts with the concept that Ulrich Klopotek von Glowczewski has created and Wischenbart has collaborated to produce each spring for the German industry, with the ongoing support of Nella Klopotek von Glowczewski, whom we hope to see soon on the roster of speakers at the show. A new generation of insight and leadership, the second Klopotek generation, is coming to the the stage to augment the company’s vision. We’re curious, for example to see what Nella Klopotek, whose work is based in computer sciences, is seeing in the publishing industry. The conference schedule features both sessions for English- and/or German-speaking attendees, and for German-only interest, specific workshops and tightly focused sessions offered only in German. At its center, a strand of fully English-and-German language sessions (with simultaneous translation) forms the spine of the conference, again emphasizing that Klopotek vision of the German industry within the world setting. At no time does a Publishers’ Forum attendee forget that she or he is at an international publishing conference, and yet the German industry’s issues and challenges are given extensive attention. The best, as it were, of both worlds. If you’re unable to be in Berlin this week, the social media hashtag for the conference is #PF18 and you can the event’s handle at @PublishersForum. This year’s Publishers Forum, says Wischenbart, “will all be about publishing-related opportunities and challenges. More from Publishing Perspectives on Publishers’ Forum is here. And more on book conferences overall is here.